In our last article we gave you an overview of Answering Rules, a powerful tool that ensures you’re reachable when you need to be, and redirects calls when you’re not available. But Answering Rules go hand-in-hand with Time Frames. 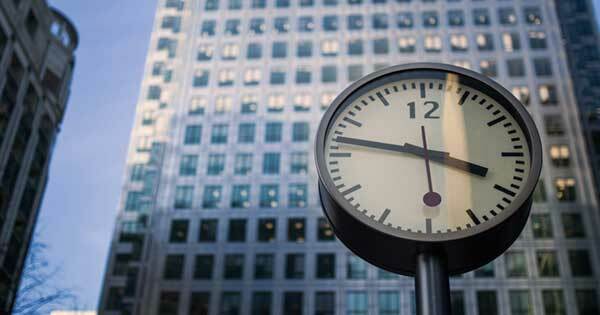 Custom time frames enable you to get the full benefit of the rules you create. You create time frames according to your schedule and needs, and then create answering rules to tell the system what to do with calls during those time frames. Default: Every system should have a Default time frame that covers 24 hours a day, every day of the year. As a result, it acts as a catch-all when no other rules are applied. This can be used for your closed hours. There’s a good chance the administrator for your organization has already set up similar time frames for use by everyone in the system. If not, you can create your own. Users can click the Time Frames icon to go to the Time Frame page. You’ll see a list of existing time frames with the names on the left. If the name is black, it’s a system-wide rule that can’t be edited by end-users. If the name is blue, it’s a user-created rule that you can edit or delete. Hovering over the description of a time frame will pop up a window showing a summary of the hours it covers. Let’s say you’ve arranged to work an extra hour Monday to Thursday during the summer so you can take Friday afternoons off and enjoy a longer weekend. Select Days of the week and times so you can set adjust the hours for each day. Click a checkmark for each day you want the time frame to cover (Monday to Friday), and the time will become editable. The blue bar indicates the hours it will be active. Adjust the start point to 8:00am and the end point to 5pm (17:00) for Monday to Thursday, and set the hours for Friday to 8am to 12:00 pm. When you later create an Answering Rule based on this time frame, you’ll decide how calls are handled when you’re in the office. Enable the rule at the start of July and then disable it when summer is over. See our Answering Rules article for more information. Now that we’ve gone through the process, we’ll delete this time frame. You can edit or delete a time frame by selecting the row and clicking on the “pencil” or the “x” icon. If you’re taking the whole summer off, you can create a time frame that covers the full two months. Click the Add Time Frame button and select Specific Dates or Ranges. 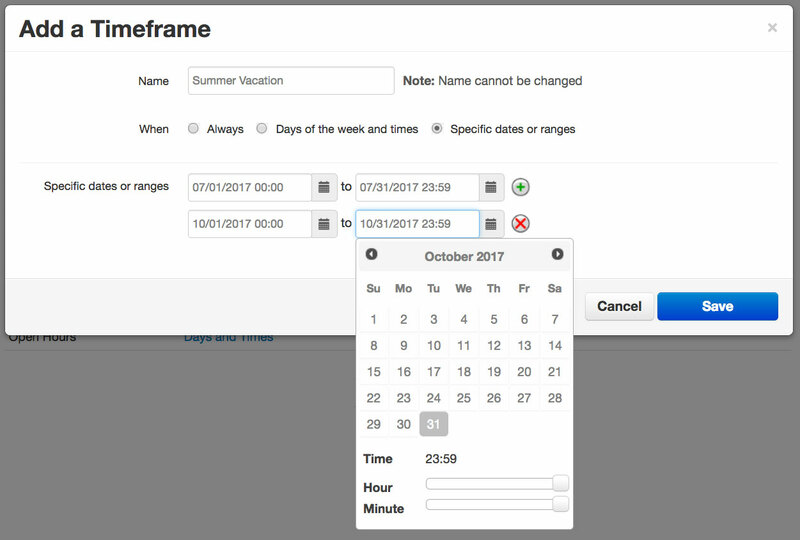 You can either type a date and time into each field using the example format, or you can use the calendar interface to select dates and times. Click the calendar icon next to the first field, and choose July 1st. At the bottom of the window, there are sliders to select the start time – hour and minute. Leave both all the way to the left for 12:00am. Click the calendar icon next to the second field to choose August 31st for the end of the time frame. Drag both sliders all the way to the right for the 11:59pm. If you’re going to be taking July, August AND October off, you can click the “Plus” icon to the right of the second field to add another date range for October. Each time you click the plus button you’ll be able to enter an additional date range. The final option for time frames is Always. A time frame set to Always covers any time – 24/7/365 (the Default mentioned earlier is an example of this.) Any calls not processed by other rules will be processed by a rule based on the Default(Always) time frame. 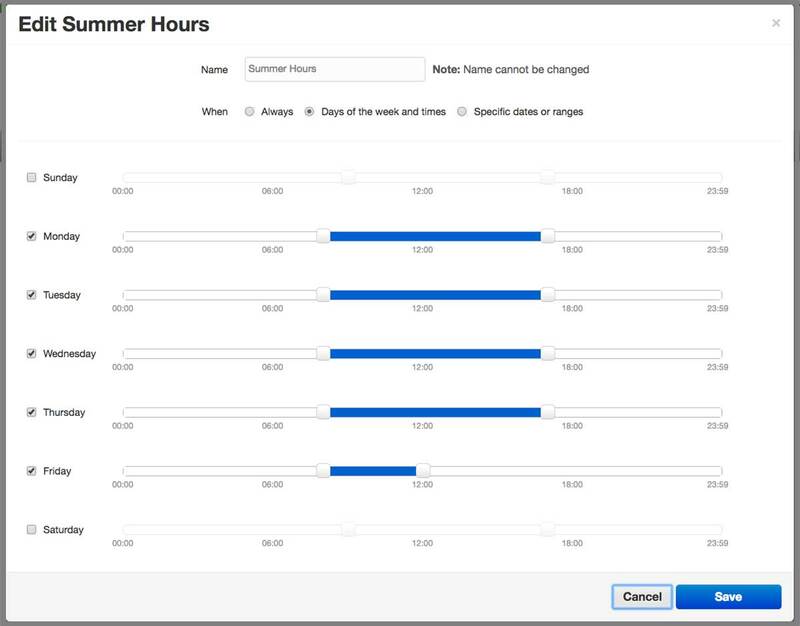 You could have an Answering Rule based on the Default(Always) time frame that controls what happens to calls during your closed hours (everything not covered by your Open Hours rule). You could also use this kind of rule if you have events that are hard to schedule. If you’re regularly leaving the office to respond to calls in the field, you could create an Always rule that forwards calls to your office mate, and then just disable/enable it as you come and go. One final factor for time frames is precedence. Answering Rules take effect from the top down, with the rule at the top of the Answering Rules page being applied first. So when you have two rules with overlapping time frames, the one closer to the top of the Answering Rules page takes precedence. If the Default rule is at the top, it will take precedence, and since its Time Frame setting is Always, it will process ALL the calls. Calls will never reach the Open Hours rule. Remember, it’s the order of the associated Answering Rules on the Answering Rules page that’s important. The order of the time frames on the Time Frame page is irrelevant and can’t be changed. We’ll give a more in-depth example of precedence in a future article. For now, take a look at Time Frames and Answering Rules and see how you can use them to make your work day more productive. Got questions about these features? Contact us today at info@unitedcloud.ca and follow us on twitter, Facebook or LinkedIn.